Enemas are High! Who knew!! How to do a High Enema! Heat up some filtered water on the stove. (Don’t use hot water from tap.) Add to cool water till reaches body temperature. Disclaimer: This is for information purposes for those who want to help their health themselves…please make sure that you take full responsibility for whatever you do, including following these instructions as I have prescribed this for you or diagnosed you with anything. Always consult with a Clinical Herbalist if in doubt! I am available at 403-276-5756 or email me at monica@hiraihealth.com. Please look at my website for my “in-person” and “distance” assessment fees. This a three-part article. Click on the link below to read more. In the past few years we’ve heard a lot of talk and read numerous books about the relationship between inflammation and chronic disease. We now know, for example, that inflammation is at the root of heart disease, cancer, autoimmune disorders, asthma, allergies, arthritis, and deteriorating mental ability in aging. This may be big news for some, but not for me. The idea that inflammation is at the root of all disease was something I learned in 1983 when I went to work for Dr. C. Samuel West at the International Academy of Lymphology. During the 10 months that I worked with Dr. West, he convinced me that inflammation was the first stage of the disease process, although he didn’t call it inflammation. Dr. West was an interesting character. If any of you are familiar with Bach Flower essences, Dr. West was the perfect example of a Blue Vervain person, fanatically devoted to a cause to the point of being intrusive with other people. In fact, he was really an evangelical minister, except that instead of preaching the gospel, he was devoted to spreading the “good news” about lymphology. By the way, I’m not exaggerating about how Dr. West promoted his message. On one occasion Carl Robinson and I accompanied him to the Bay Area for some meetings, and at one of the meetings he actually had a couple of people in the back of the room saying “Amen Brother” and “Praise the Lord!” When we went to church he actually stood up to bear testimony about the “trapped blood protein” research being the answer to ending mankind’s suffering. Carl and I were trying to sink under the pew, as if we didn’t know the guy. According to Dr. West, trapped blood proteins are the cause of all disease. His book, The Golden Seven Plus One (which has numbered chapters and paragraphs because he actually considered it a form of scripture), was devoted to the idea of eliminating all disease and bringing peace to the world. Technically speaking, Dr. West was talking about trapped plasma proteins, but he felt the word plasma was too technical for lay people to understand. From Dr. West I learned about cutting edge research on the lymphatic system. I learned how the lymphatic system was necessary to maintain a healthy “negative sub-atmospheric pressure condition” between the cells. He called it the “dry state,” again because he avoided anything that sounded technical. This healthy state of the cells involves just enough fluid around the cells to fill the spaces between them without creating any fluid pressure. The pressure is maintained inside the blood stream (rather than around the cells) by means of the plasma (or blood) proteins—albumin, globulin and fibrinogen. They create something called osmotic pressure. Almost ten years later, I had an artist create the following illustration which I’ve been using ever since to illustrate the “happy” cells in the dry state. The illustration shows how the water molecules “stick” to the plasma proteins, which hold them in the circulatory system. Dr. West used Guyton’s Textbook of Medical Physiology as a reference and gave us all a copy. In studying Guyton, I noted that he says inflammation starts with a movement of fluid and protein into the tissue spaces, followed by a “clotting” of fluids in the tissue spaces. This, of course, leads to swelling, one of the four classic signs of inflammation. To illustrate the “inflamed state,” I also had this illustration created, which showed the “unhappy” cells when fluid and protein leave the blood stream because the capillary pores have dilated. It shows the proteins flooding into the tissue spaces building up fluid and making the cells sick. Anyone who has studied with me for any length of time has seen these illustrations. They’re included here for new people, to help them visualize what I’m talking about. I learned a lot of great stuff from Dr. West. I learned how to reverse minor injuries and relieve pain using lymph-moving techniques like pressure, massage, light, rapid stroking, the energy ball and deep breathing. It also helped me to develop an understanding of the many herbs that work to heal injuries and relieve pain. These are all taught in my Fundamentals of Natural Healing course. Over the years, I’ve watched as mainstream medicine has announced its discovery that inflammation is involved in this or that disease. Now, it is well established that inflammation is at the root of many chronic and degenerative diseases. Dr. West’s assertion that “trapped blood proteins” are involved in the “process of disease and death at the cellular level” is gradually being vindicated, and I hope someday he’ll get the recognition he deserves for his discoveries. In all this mainstream “hoopla” about inflammation and disease, however, there are some very simple “keys” (which Dr. West taught me) that are missing from every book and article I’ve reviewed. So, let me present my own perspective on the subject of inflammation based on the foundation of practical understanding that dear Dr. West provided me. Bless his beautiful “blue vervain” soul. Page Two of a Three-Part Article. The first thing I learned from Dr. West is that inflammation is the body’s initial response to all tissue damage. In other words, any time you damage a cell in any way, an inflammatory process is initiated. 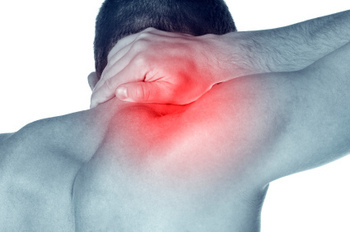 There are two basic types of tissue damage: mechanical damage and chemical damage. Chemical damage comes from toxins and toxins derive from three main sources. First, there are poisons which can be introduced into the body. These could be plant toxins (poison ivy, death cap mushrooms, etc.) or animal venoms (bee stings, spider bites, etc.) or chemicals (heavy metals, gasoline, solvents, etc.). Second, there are metabolic toxins (waste products of our own metabolism. And third, there are metabolic toxins released by microorganisms and parasites (such as yeast, bacteria, intestinal worms, etc.). However, no matter what the source of the toxin is, the response of the body is always the same. So, while the body can be traumatized and injured in many different ways, the manner in which the body responds is consistent. This is what makes the simple techniques of natural healing so effective. When cells are damaged, their membranes rupture. 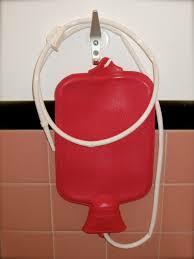 This allows chemicals which were inside the cell to be released into the surrounding fluids. Among these chemicals are histamine, bradykinin and serotonin. These chemicals initiate the inflammatory process, by dilating the pores in the nearby blood capillaries. This allows the plasma proteins (albumin, globulin and fibrinogen) to move out of the blood stream and into the tissue spaces in large quantities. Since these proteins hold onto water in the blood stream (maintaining osmotic pressure), they carry this water with them into the tissue spaces. This causes the first characteristic of inflammation: swelling or localized edema. This slows down the microcirculation at the site of injury. Normally, the fluid between the cells is moving very rapidly (changing 80 times per second according to Dr. Guyton). Now, the fluid pools around the cells creating a localized stagnation. This is one of the body’s protective mechanisms. If the damage is due to some toxin, this slows the movement of the toxin so it can’t spread rapidly through the body. If the protective layers of skin or membranes have been damaged, it also prevents microbes that may have entered through these breaches from moving rapidly through the system. However, in spite of the protective nature of this pooling of fluid, it also creates two negative effects. One is that the oxygen and nutrient supply to the cells is diminished. The other is that wastes are not removed efficiently. Thus, cells suffer oxygen and nutrient deprivation and the localized environment becomes increasingly toxic, the longer the fluid remains in place. Dr. West believed that the other classic symptoms of inflammation—pain, heat and redness—are caused by this accumulation of fluid. He believed that the lack of oxygen causes the pain and that the heat and redness are caused by a shutting down of the sodium potassium pump which creates electrical energy for the cell. He felt that the electrical energy was being converted to mechanical energy. I was never convinced that his explanation was correct, so I’ve never taught it. In all fairness to Dr. West, however, the only chemicals he knew to be involved in the inflammatory process were histamine and bradykinin. I have the advantage of 20 additional years of research to aid my understanding. For instance, when I first learned about free radicals and oxidative stress, I thought, now there’s a more reasonable explanation for the “heat” part of inflammation. There must be a lot of free radical activity at the inflammatory site. Now, I know that white blood cells are drawn to inflammatory sites where they release oxygen radicals to destroy microorganisms and “burn up” cellular debris. So, this definitely helps account for the heat at the inflammatory site. More recently, I’ve been learning about the chemical messengers cells use to “talk” to each other. These chemicals are very basic types of hormones—autocrine hormones—and are collectively known as eicosonoids. They include prostaglandins, leukotrienes, cytokines, lipoxins and resolvins. Currently, there’s a lot of research being done on these chemical messengers and their role in inflammation. These messengers help create the other classic symptoms of inflammation. Forgive my cynicism, but I believe that the reason the researchers are focused on these chemical messengers is because they are trying to develop new designer drugs to manipulate them. The COX-2 inhibitors (viox and celebrex) were drugs developed from studying how to manipulate these chemical messengers to relieve pain. My attitude is that we’re overlooking some very obvious and simple answers here because they’re too easy and don’t lead to patented chemicals (drugs) that make pharmaceutical companies rich. In order to understand what some of those obvious and simple answers are, we first need to delve a little deeper into our understanding of what is happening. So far, the book that has been the most helpful in developing my understanding of the chemicals mediating the inflammatory process has beenThe Anti-Inflammation Zone by Barry Sears. He talks about four phases of inflammation. So, let me explain each of these phases of inflammation, what is happening, and how we can help the body in each phase. We’ve already introduced the first stage of inflammation by explaining that tissue damage causes cell membranes to rupture. This results in the release of histamine, which is followed by a release of bradykinin, serotonin and other chemical messengers. These messenger chemicals dilate the capillary pores allowing fluid and protein to rush into the damaged tissues creating swelling, which initiates the inflammatory process. At this stage, inflammation is actually quite easy to reverse. If one can keep the fluid moving out of the tissues and into the lymphatic system, then the cells never suffer oxygen and nutrient deprivation or a localized build up of toxins. This allows repair to take place very rapidly. All one has to do is keep the lymphatics moving, which can be done by applying pressure to the injury, lightly rubbing or massaging the injured area or even applying energy to the area of injury. This technique works extremely well for smashed fingers, bumps, abrasions, burns and other minor injuries. I can’t begin to count the number of times I’ve been able to take the pain out of minor injuries like these (either on myself or others). The process generally takes 5-20 minutes. (One of the things I learned from Dr. West and have subsequently verified to be true is that the maximum time it takes to reverse these minor injuries is 20 minutes.) As long as you keep the fluid from building up in the tissues, the pain will go away and the damage will be reversed within that period of time. Of course, you can’t use these techniques for chemical injuries like a bee sting or spider bite. That’s because keeping the lymph moving would spread the toxin more rapidly through the system, something we don’t want to do. So, you have to do something that will neutralize the toxin first, like applying an herbal poultice. In the second phase of inflammation, eicosonoids (leukotrienes) are released to further dilate the blood vessels. This allows white blood cells to exit the blood stream and enter the damaged area. The white blood cells can get rid of toxins and debris from damaged cells. This also causes further swelling. Histamine and leukotrienes also cause bronchial constriction and increase the production of mucus on mucous membranes. This helps flush irritants from the respiratory tissues (which is what happens in a cold). There are also eicosonoids that sensitize pain receptors in the nerves, to increase pain signals to the brain. It appears that active cells produce tiny electrical fields and that these fields keep the proteins in suspension so they don’t clump together. With the fluid accumulation in the tissue spaces causing reduced oxygen and nutrient supply, the electrical fields diminish, and this is what causes the proteins to clump together or clot. 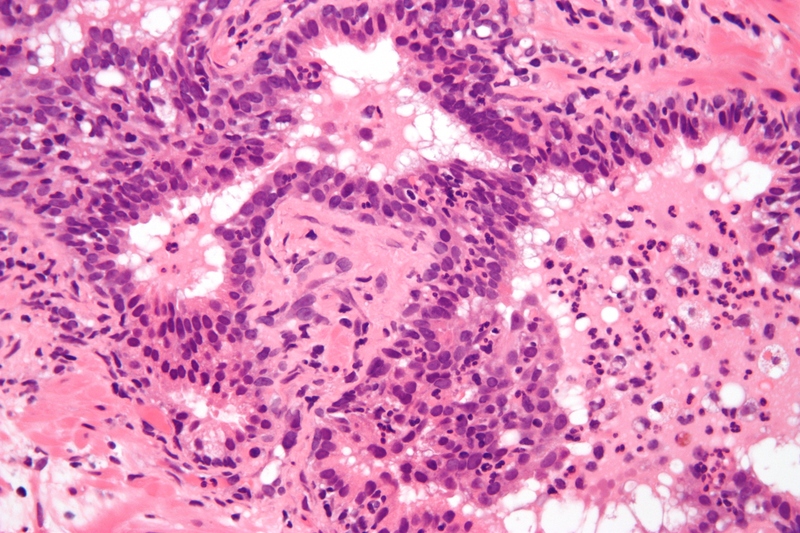 Once they clump together, they won’t move into the lymphatics and the fluid remains stuck in the tissues. I believe that this problem creates the second phase of disease, the subacute or stagnant phase, where a chronic congestion develops in the localized tissue and lymphatics. The reason I know that there is an electrical connection between the proteins and the fluids is because of my experiences in noting how electromagnetic fields affect injured tissues. The application of energy alone (either in the form of “hands on” healing, electrical stimulation from actual electrical devices or magnets, or high energy remedies such as essential oils) consistently breaks up this localized stagnation and moves the stuck fluid and protein into the lymphatic system to be drained away. The fact that I’ve seen applications of energy alone take down the localized edema is enough to convince me that this second phase of inflammation is characterized by a loss of energy production in the cells and a further stagnating of fluids. However, as I’ve already stated, none of the literature I’ve read on inflammation talks about this. In the third phase of inflammation, more eicosonoids (cytokines) signal white blood cells (macrophages and neutrophils) to enter the area for further clean-up. These cells use oxygen radicals to destroy microbes and cellular debris. This is where the oxidative stress of inflammation comes in. Healthy cells have antioxidants to protect themselves from oxidative stress. If the cells are deficient in antioxidants, then the oxidative process taking place at the site of inflammation can damage more cells. It’s like a forest fire which starts because there’s a lot of dead, dry wood in the forest. When the fire gets going, and it’s hot enough, even green trees will burn. Antioxidants make cells that are like well-watered trees. They’re hard to burn. This contains the inflammation and keeps it from spreading. This is the final or healing phase in the normal inflammatory process. The cleaning crews (white blood cells) have been busy “burning up” debris and clearing the area. Now, cortisol from the adrenal glands is secreted. This shuts down the production of eicosonoids and halts the inflammatory process. It’s like hosing down the entire area to put out the fires and prepare for reconstruction. Macrophages clean up the remaining debris, while a new group of eicosonoids (lipoxins and resolvins) signal cells that it’s time to begin the process of rebuilding. There are several obvious things that inhibit the healing phase. One is exhausted adrenals. This is something I see in autoimmune disorders. I’ve never seen anyone with an autoimmune disorder who doesn’t have exhausted adrenals. I’ve also never seen anyone who has an autoimmune disorder who wasn’t low in antioxidants. Therefore, my personal theory about autoimmune disorders is that they aren’t caused by the immune system turning on the body. I think they are caused by some kind of toxicity which has created a chronic inflammation in part of the body. Like the forest fire, the inflammatory process is running out of control because the adrenals aren’t strong enough to produce enough cortisol to keep the fire in check, and healthy cells are being damaged by the lack of antioxidants. Another reason why the healing phase isn’t initiating in chronic inflammation is because it takes omega-3 essential fatty acids to create the eicosonoids needed to signal the repair and rebuilding phase. Because just about everyone in our society is getting too many omega-6 essential fatty acids and not enough omega-3 essential fatty acids, the body is unable to initiate the healing phase. High levels of insulin also interfere with the production of the eicosonoids that keep inflammation in check and promote healing, so our high carb diets are also contributing to the problem. This is page 3 of a three-part article. Although I didn’t learn this from Dr. West, I believe that when acute inflammation doesn’t heal properly, it becomes subacute or chronic inflammation. As I mentioned earlier, this subacute phase of the disease process is characterized by clotted protein in the tissue spaces which isn’t moving due to diminished energy production. If this situation continues, then tissue function becomes permanently depressed and chronic disease results. Is Infection Really the Culprit? Also, while it’s obvious that infection can be involved in the inflammatory process, I firmly believe that most infections are actually a secondary effect and not the actual cause of the inflammation. Healthy skin and membranes resist infection, but once they have become damaged and inflammation has set in, the stagnation of fluid in the tissue spaces creates a breeding ground for microbes. My reasoning here is that most harmful microbes operate on an anaerobic metabolism, that is, they derive energy from the process of fermentation. Our cells are aerobic, which means they utilize oxygen to burn carbohydrates for fuel. The reduced oxygen supply to stagnant, inflamed tissues creates an anaerobic environment that encourages the growth of these microbes. It has long been known that cancer cells are anaerobic. So, the low oxygen environment in stagnant tissues (coupled with the free radical damage associated with inflammation), causes some cells to revert to the anaerobic metabolism they operated under in the embryonic state, and they start growing at the same rate. Thus, cancer is born. Obviously, if tissue remains in a stagnant, depressed state for a long enough period of time it will start to break down and decay and degenerative disease sets in. Organs and tissue deteriorate and that also creates an environment for more anaerobic activity (chronic infection and/or cancer). So, because of what I learned from Dr. West, I have come to believe that the disease process is essentially the same in all diseases. It all starts with some kind of damage which sets up acute inflammation. If the body has the support it needs, the acute inflammation heals and the problem is resolved. However, if the body doesn’t have the help it needs to heal, then the inflammation becomes low grade and chronic. I call this the subacute and chronic stages of disease, which are characterized by localized lymphatic stagnation and depressed tissue function. 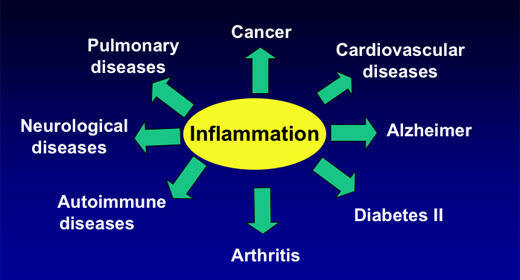 If this chronic inflammation remains unchecked, degeneration sets in, which is the fourth stage of the disease process. Thus, all disease is really one disease. What differentiates the many different types of diseases the body is prone to are three factors: 1) the source of the tissue damage, 2) the site of the tissue damage and 3) the stage of the body’s response to that damage (acute, subacute, chronic or degenerative). Some people may think this model is over simplistic, and it very well may be, but it serves me well as a natural healer and seems to work in practical application (which is all I really care about). While science is busy studying all the little chemical messengers and trying to develop “designer drugs” to enhance or inhibit them, we’re already there. The fact is, that these chemical messengers cause changes to take place in healthy tissue. These changes are observable (swelling, redness, bruising, etc. ), so we can see what these eicosonoids are doing to alter the tissue. We also have hundreds, and in some cases thousands, of years of people noting that certain herbs produced observable changes in various tissue states in the body. This means that the herbs have to be enhancing or inhibiting various eicosonoids to create these changes. We don’t have to wait for science to figure out which chemicals affect which messenger chemicals. We only have to do what herbalists have been doing for thousands of years, observe the condition of the tissue (what stage of the disease process it is in) and apply the appropriate remedies. It’s really the core of everything I’m doing. So, if you want to learn more about inflammation and it’s relationship to chronic and degenerative diseases, you can check out the Fundamentals of Natural Healing Course, which explains the process of inflammation in detail and gives practical information about relieving pain, reversing injuries, and healing both acute and chronic disease. Insights into the various tissue states caused by the stages of inflammation are found in the ABC+D Approach courseand the Nature’s Pharmacy course. And, if you want to hear the next generation of Dr. West’s message, his son Karl West is carrying on his father’s legacy. You can check it out at www.ial.org. (They still have the Certified Lymphology course I put together for them over 20 years ago.) And, truth is, I’m still somewhat “infected’ by Dr. West’s passion, which was to help end the suffering caused by degenerative disease, and to bring peace to the world. So, maybe there’s a little touch of that blue vervain personality in me, too. How Herbs Help Humans: Vol. 1, Section 1: Cranky Chamomile…the Herb for the Cranks in your life! Yes, Chamomile is for cranks! It is for those who tend to wine and complain about most anything, even when things are going well. Chamomile is for “babies of any age”. 🙂 This is the emotional or mental type for this herb, but most of these people will also have cranky guts…so they will also find relief for their digestion when using this herb! Chamomile, we have all enjoyed a cup of chamomile tea, though personally I like the one combined with vanilla bean which disguises its “weedy” taste. I find that using it for relaxation is best as a tea, but when using it for digestion, use it as a tincture. Also, the fresh herb tends to relieve tension & promote relaxation and the dried herb promotes stomach, gastro intestinal & liver, digestive secretions…so check each tincture before you buy it to see if it is a dried or fresh preparation. The botanical name for this herb can be; Chamomilla recutita or Chamomilla matricaria. It is in the Asteraceae or Compositae family. This family consists of flowers within flowers and the centre of the flower is made up of hundreds of “disk flowers”, the big petals are called “ray flowers” so each Chamomile flower, for instance, is made up of hundreds of small flowers! Some of what we call “indications” or symptoms Chamomile addresses are; irritable sensory organs like ear pain, eye pain, teeth pain, pain in the reproductive organs etc. It is a great herb for Cranky Babies with colic, teething pain, diarrhea etc. It is safe to use and no one has ever died from taking too much of either the Chamomile tincture or the tea! So use it liberally. For the fresh preparations be aware that some people can be allergic to it. Some of its other uses are for; ADHD, cramps, colds, stomach aches, fevers…particularly intermittent fevers, frazzeled nerves, insomnia, tension headaches, IBS (irritable bowel syndrome), morning sickness, gastric ulcers etc. Some of the emotions/mental states it will address are; angry, demanding, petulant, self-centred, intolerant of pain & not having their own way, inclined to pick quarrels, yet averse to being touched, soothed, or spoken to. “I can’t bear it” is a common phrase or expression. 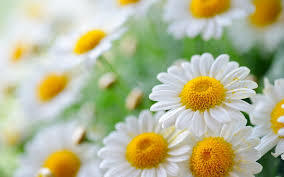 Chamomile is said to “sweeten the soul” and it can help to improve self-esteem. Remember the fresh herb is good for relaxation and the dried herb is great for the digestion. I do find that the dried herb preparations either in a tea or tincture can also help with relaxation when related to the digestion. The easiest fresh preparation is the essential oil, but it can be quite expensive. I would either grow it yourself or buy a tincture made from the fresh plant if you are trying to get it to act on your nerves. The standard dose for this herb is 1 cup of tea up to 6x daily or 40 drops of the tincture made from a fresh plant taken 2 per day for calming the nerves and taken 1 hour before bed and also right at bed time. The tincture made from dried herb is taken 40 drops before each meal in a small amount of water to promote better digestion. This herbal monograph was adapted from reading the following books; “The Earthwise Herbal”, A Complete Guide to Old World Medicinal Plants by Matthew Wood, Herbal Therapeutics by David Winston & 300 herbs Their Indications & Contraindications by Matthew Alfs. I have put together some Pointers to help you get the most of your appointments whether “initial” or “follow-ups” with your Natural Health Practitioner or even your regular M.D., though some pointers are really only pertinent to a Natural Health Practitioner unless your M.D. 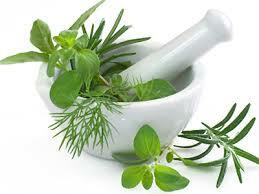 prescribes natural remedies for your health problems. 1. Bring a food diary in showing what you ate for the last 10 days, include all meals & snacks and if you noticed if you felt any different eating certain foods or avoiding certain foods. 2. Bring your current supplements that you are taking along with any prescription medications especially to your first appointment. 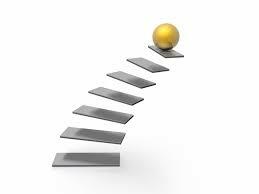 You can then just bring anything new that you added in to your follow-up appointments. 3. Bring in your most recent, even if it was 2 years prior, blood work & any other scans or medical diagnostic tests that you have had done to your initial appointment as well as any current results to your follow-up appointments as you get the tests done. Sometimes it is easier to scan them to your practitioner before you get there so that they can have a look at them right before they see you. 4. Make sure you bring in a diary of your supplements or however you kept track of the supplements you took and if you noticed that you felt better or not after running out of them. Ie. Sometimes it is easier to notice if something is helping if you run out of the supplement first and then evaluate how you feel. If you feel worse after running out of a supplement there may be a correlation, but the Practitioner can determine this at the appointment. 5. If you are feeling quite well and most of your symptoms are gone, but are unsure of what to stay on as far as the supplements you were taking, then ask if you can have a shorter appointment time. 6. Once you have determined what is working I would then ask if you can simply pick up remedies that you need. It is important to note here that buying store brand products that are cheap have very little health benefits & usually contain substances that are toxic. Keep in mind that Health Canada approves products on our shelves NOT because of good quality control…they do not even look at quality control…thus the same herb in different brands can be completely different and you will not get the same results. (Ie. It could be contaminated with animal dander, not the correct medicinal species etc.) If you go to a reputable practitioner they will often give you advice as to what to buy from your local health food store, if you don’t buy from them. 7. If your symptoms have improved, but you still have the symptoms then make sure you make another appointment. Keep in mind that the longer you have had a symptom, the longer it generally takes to go away…though not nearly as long as you had it. Ie. A symptom that you have had for 20 years you may get rid of in less than 2 years, which isn’t too bad considering how long you have had it. I like the car analogy. If you drove your car for 5 years without maintenance you can expect to pay thousands on repair/maintenance costs. Now think of driving your car for 25 years without maintenance…this is what a lot of people due to their own bodies. It will cost you a lot more if you wait until you have symptoms for years, then go for help. My general recommendation is to go for an appointment at least spring and fall even if you feel well, that way health patterns & changes can be noted and addressed before you become really unwell. Another reason for going every spring and fall is to detoxify & cleanse using herbs to get at the deeper toxins in the body thus increasing the vitality of the liver, thus increasing your own vitality and wellness. Disclaimer: This is for information purposes only and readers take full responsibility for applying these guidelines to their lives.